By moving away from the coal industry, companies like Catalyst Connection are aiding job growth in new technology, which they say makes companies more competitive. This story is the third one in a three-part series on the Appalachian Regional Commission (ARC) economic development initiatives in Pittsburgh. ARC is a regional economic development agency that provided $1.7 million in grants to fund economic development plans in Pittsburgh in October 2018. Plans are aimed at helping to remediate the sharp decline of coal industry jobs in the region. Catalyst Connection, a nonprofit that provides consulting and training services to small manufacturing firms throughout the region, received $670,000 from ARC for their initiative, Pennsylvania Manufacturing Assistance for Keystone Entrepreneurial Success (PA MAKES). PA MAKES is dividing the funds they received into mini-grants to provide to manufacturing companies, in the hopes of fueling economic growth and stability by helping each company make strategic business decisions. Their goal with the funds was to help create roughly 120 jobs while assisting 42 businesses located in 48 coal-impacted communities. Petra Mitchell, president and CEO of Catalyst Connection, said they have been receiving funds from ARC for a few years. Her organization and ARC looked at employment records by sector and noticed that employment in the coal industry mainly shows a decline. Mitchell said that by supporting manufacturing companies, Catalyst Connection diversifies away from coal and the coal supply chain, helping people to invest in new technology and make companies more competitive. 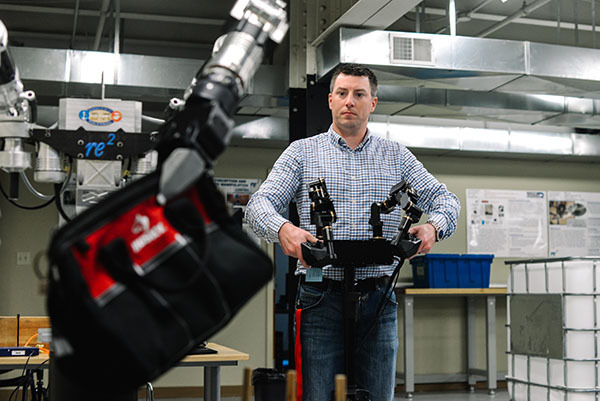 They have even supplied communication and leadership training to senior staff members at RE2 Robotics, a manufacturer specializing in robotic arm technology. Because the coal business is not a viable means of economic stability, the manufacturing companies are not replacing the coal industry. Rather, they’re aiding in new forms of growth. In other words, improving the manufacturing industry workforce can make a positive impact in other job sectors, like accounting, law, and real estate, Mitchell said. Even the restaurant industry experiences benefits from manufacturing job development because employees of manufacturing companies have to eat lunch. “There’s a very high multiplier effect,” Mitchell said. Catalyst Connection works with the automotive, defense, transportation, medical, and energy industries to expand on electromechanical assemblies, or a combination of electronic engineering and mechanical engineering where manufacturers typically rely on both mechanisms for maximum productivity. For more information on Catalyst Connection, visit www.catalystconnection.org.